Where can children put their hands in a black bear paw print, touch fossils from times long gone, and sneak a peek under a microscope to learn about Deep Creek Lake's under-water ecology? The Deep Creek Lake Discovery Center, allows children to do all this – and much more! Nestled along the shores of Deep Creek Lake at Deep Creek Lake State Park, the Discovery Center is a one-of-a-kind educational venue for people of all ages. Through hands-on exhibits that showcase the natural resources of Western Maryland, families can learn about the flora, fauna, wildlife, cultural and historical heritage that have turned this former logging and coal mining region into a popular modern day vacation destination. The Deep Creek Lake Discovery Center's 6,000 square foot facility also includes a classroom and conference areas complete with audio visual technology including Internet wifi. Don't forget to stop by the Nature Shop, where you'll find a variety of environmental and educational gifts including toys, souvenirs from the region, field guides, and books with a natural resources theme. The migration of the Monarch Butterfly is a magical and mysterious event. The Discovery Center at Deep Creek Lake State Park and numerous elementary schools have joined together to study this phenomenom. The Aviary houses birds of prey used for the Scales and Tales program. 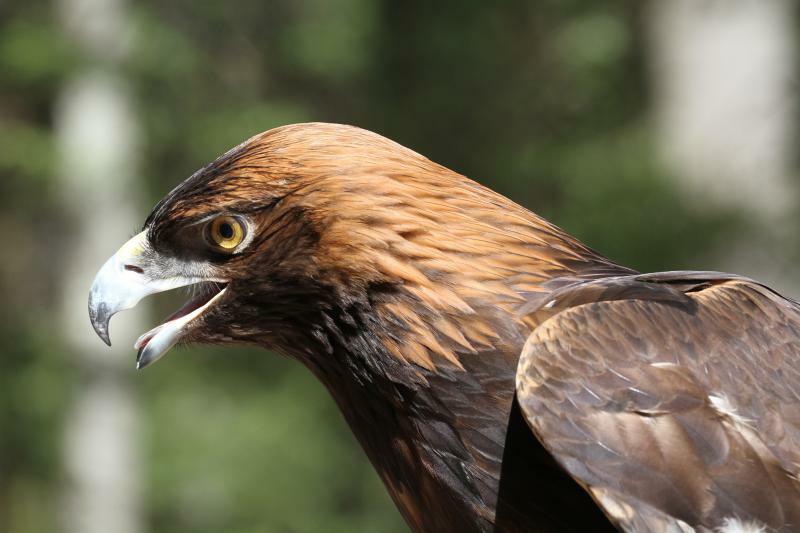 These birds have been injured/hand raised, and cannot survive in the wild. Scales and Tales is a state wide program that encourages an appreciation for the splendor and diversity of Maryland’s wildlife, promotes an understanding of the relationship between man, wildlife, and the habitat they share, and encourages people to visit state forests and parks to further explore that relationship. The Discovery Center offers Spring and Fall field trips for students of all age levels. We can customize programs to fit your classroom needs often helping to fulfill Maryland EE standards.